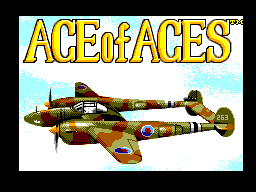 Ace of Aces is a flight simulator developed by Artech Studios and originally released for home computers in 1986. It was ported to the Sega Master System by Tiertex in 1991. Main article: Ace of Aces/Magazine articles.